The compressors and EQs on the RC500 and VT1 Channel Strips have been engineered to provide musically tasteful results, even at extreme settings. 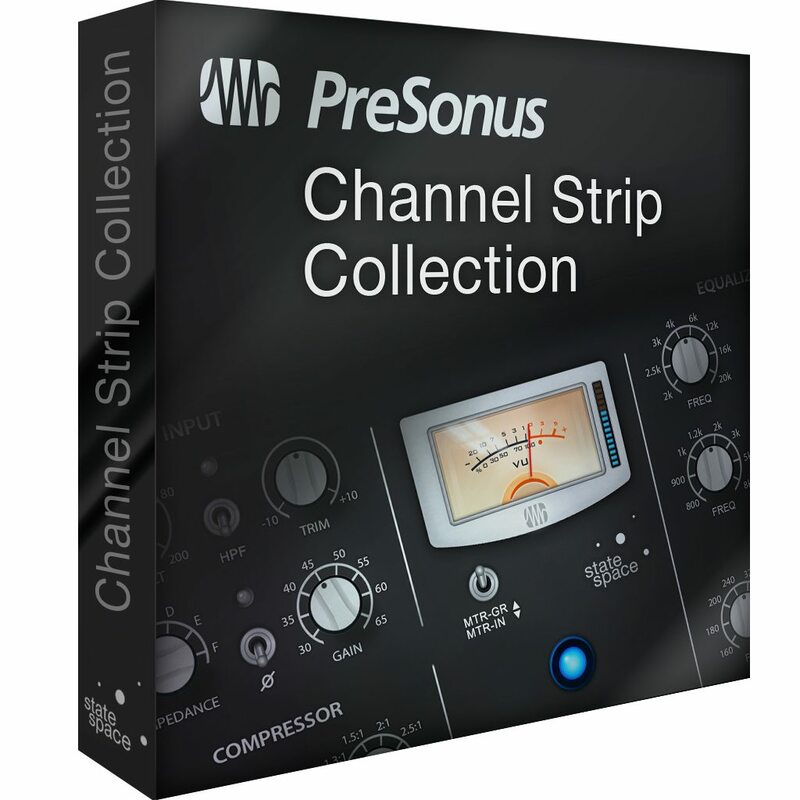 They starkly contrast from more analytical sounding plug-ins on the market today, designed purely based on physical aspects. The VT1 adds natural, warm tube sound with some of the best vacuum tube emulation available today. And the RC500 delivers the outstanding sound of a solid state channel strip with a vintage vibe, reminiscent of classic high-end products. The incredible, true-to-life sound of the RC500 and VT1 were realized through State Space Modeling, a proprietary, sophisticated, and groundbreaking physical modeling technique developed by PreSonus. The State Space approach drills down to the system topology (namely the complete schematic) and recognizes the circuit as a set of discrete differential equations. The involved non-linear circuit elements are modeled meticulously down to the component level in order to include all those "dirt-effects" that make the analog original sound so good: bias shifts, time dependencies, saturations. The resulting DSP code is then CPU optimized for maximum efficiency while taking advantage of Studio One’s superior sound quality. This progressive technique enables us to create perfect virtual models of even complex audio hardware.